Jade and I love cooking classes. Every country we go to we make sure we take a class. Unfortunately, because we are still near the beginning of our travels the number we have been on is still relatively low. 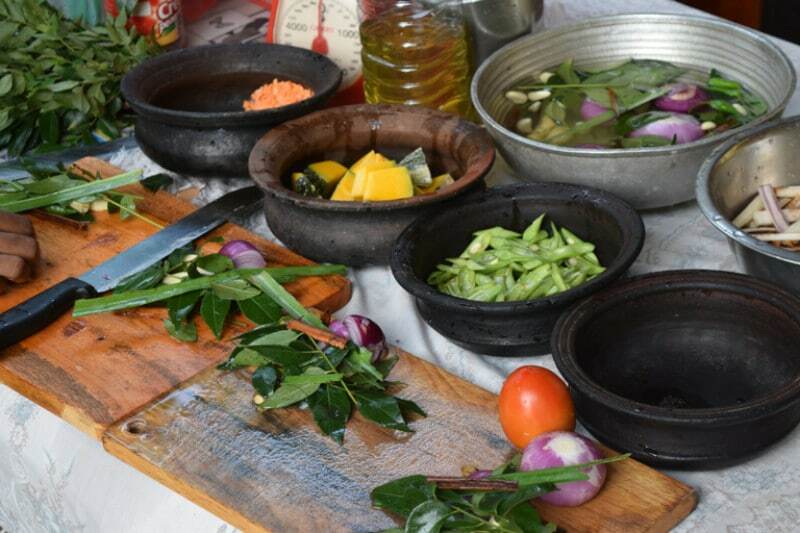 Luckily, there are plenty of amazing cooking schools in Asia for us to try in the future. However, I believe we now have a pretty good grasp at what makes a brilliant, good or sub-par cooking school. This is not a scolding review of Dewmini Roti Shop. 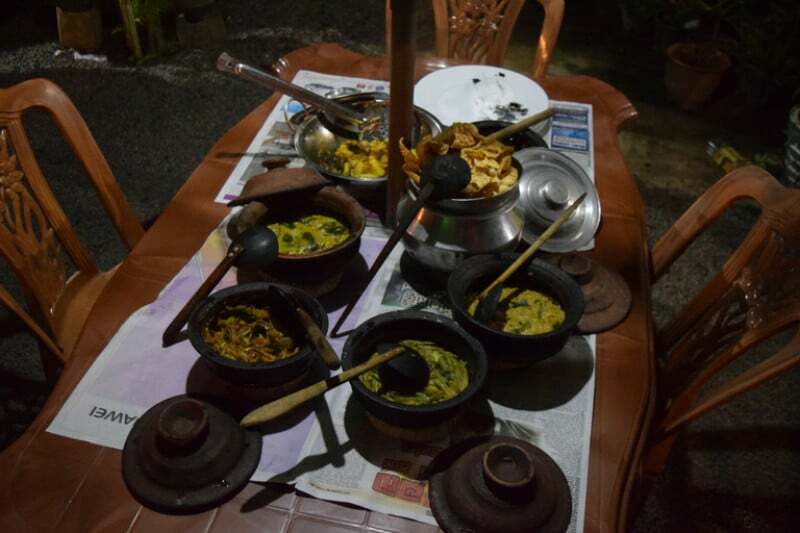 Mostly because the class did what it set out to do and taught us how to cook Sri Lankan food. But did it stand up to the hype? And by ‘hype’ I mean the very consistent 5-star reviews across the board. If you’re looking for other amazing things to do in Mirissa, have a look at our more comprehensive list! This is where you will be doing the class at Dewmini Roti Shop. 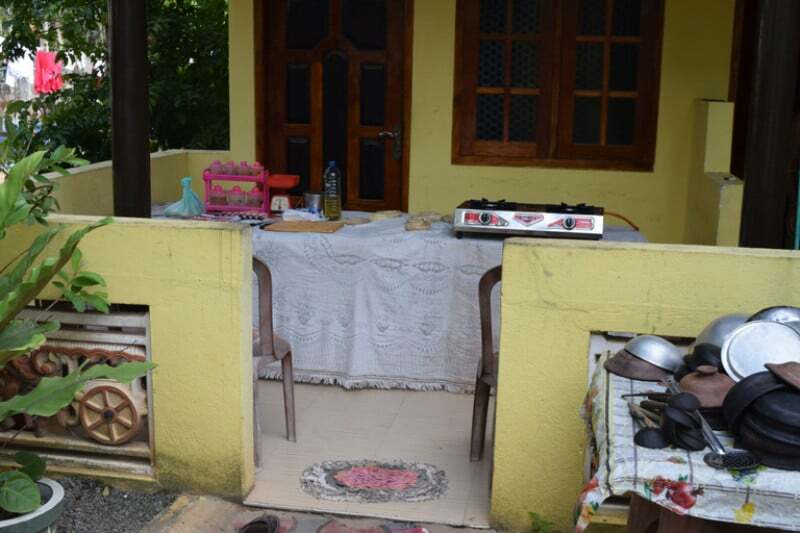 The door in the background is the entrance to where the owner’s family lives. So be sure to expect children and staff pushing through your already cramped space throughout the class to relax on their break or simply get changed. Furthermore, you sit on plastic picnic chairs with hardly enough space to get your legs in without touching the work table in front. This means that when someone does take part, you are always in the way of them trying to move. That moves me to my next point, participation. I personally don’t go to a cooking class to watch, I want to take part. The more participation the better. 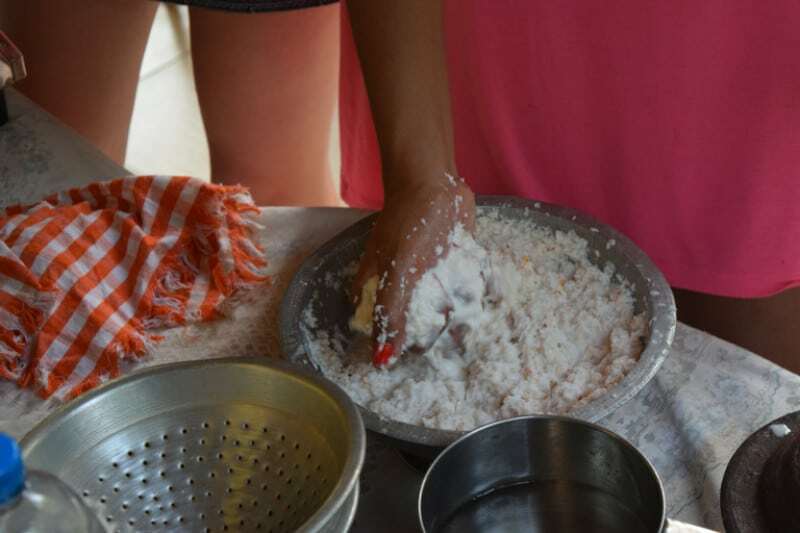 In our Chiang Mai cooking class, we were fully in control of the dishes we were making. However here you will periodically be asked to come to the table to cut a few things or put a spoon of seasoning in the mix. It gets a little awkward when your group hears ‘who wants to come and stir something?’ And everyone looks at each other and politely offers the task to other people because everyone knows that this is at good as the participation gets. The woman who runs the cooking school (I didn’t get a note of her name) is extremely bored with having to do the cooking school. You can tell she would rather be running the restaurant. That’s fine because she is obviously a very talented cook but I often got the feeling that she thought of our group as a little bit of a burden. Maybe she was having a bad day. On a more personal note, she referred to our group as “the white people” quite often throughout the experience. Especially in regards to how much spice we can handle. For example; ‘this is the white people amount’ or ‘you white people cannot handle any more’. And let me tell you, she got me down to a tee, I don’t want my food blown away by too much spice. She might even have got the other 2 guys out of our group of 4 right. However Jade, being quite obviously black, got a little tired of being called “the white people”. Anyway, I said this wasn’t a scolding review so let’s talk about the positives. The food was excellent. As I said before she is obviously a talented cook, hence the incredibly high reviews for her restaurant. And at the end of the class we ate all the food we help prepare and it was delicious. I would say that if you were a first time cooking class participant, or you have very little confidence in the kitchen, Dewmini Roti Shop is a good starting point. If you have experience with other cooking classes that blew you away, don’t expect too much from this class. 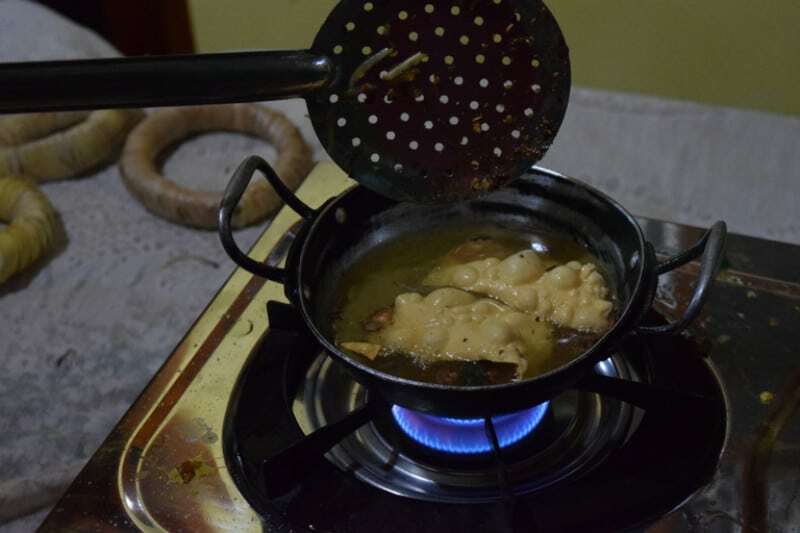 However, I would still begrudgingly recommend going as the price is not bad and your options are quite limited in Mirissa for other cooking classes. Furthermore, you do have a permanent record of how to prepare Sri Lankan curry which might be one of the nicest meals on the planet. 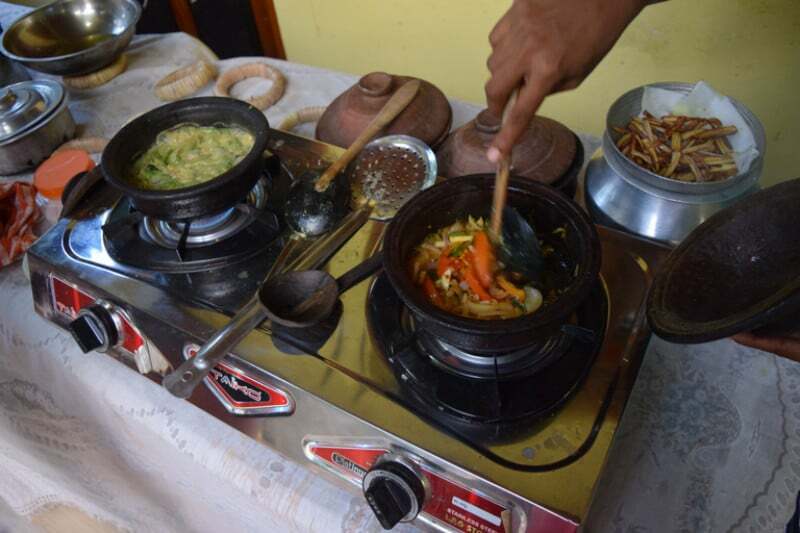 Food in Asia is amazing, and you can even find some unexpectedly brilliant food in Beijing, but Sri Lanka is definitely near the top with it’s cuisine! TIP: Spend a fantastic 10 days in Sri Lanka with this jam packed itinerary! Have you been to Dewmini and had a different experience? Do you know of any other options in Mirissa or the surrounding area that might be a better choice? Please let everyone know in the comments section! Thanks for the write up. We have been on a few cookery schools before and we were lucky as they offered the right amount of participation. It’s a shame this one didn’t but we’re glad the end product was good! Sounds interesting but not sure I would be happy going on this. I would definitely want to get hands on involved in the whole process. Thanks for sharing your honest review. Yeah it’s a difficult one to recommend based on previous experiences with cooking schools. It could be a lot more hands on.